3 Bedroom Terraced House For Sale in Bedford for £282,000. Amazing opportunity to acquire a spacious 3 bedroom town house close to Bedford town centre and the main line railway station. We are delighted to be working in partnership with WN Developments who are a family run construction company on their latest Bedford Development called Britannia Gate. 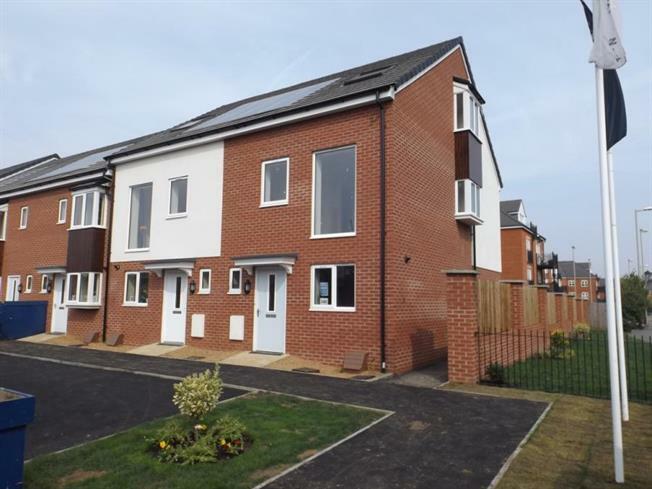 This brand new 3 double bedroomed, three storey town house is located off Palgrave Road which lies off Kempston Road directly opposite Bedford Hospital. The property comprises of a contemporary fitted Kitchen with some built in appliances, cloakroom, spacious lounge with doors to the rear aspect which opens onto the private garden. On the first floor are two double bedrooms and the family bathroom, on the top floor is an impressive master bedroom which boasts having an en-suite and walk in cupboard. Outside is a private rear garden and allocated parking. The property has the added advantage of coming with NO CHAIN. Viewings are strictly by appointment only, as the properties are currently under construction. If you have any questions on this property or development, please do not hesitate in contacting one of our friendly members of our team.